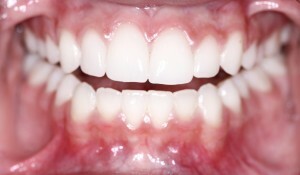 Gum disease, or periodontitis, affects as many as 75 percent of American adults today. It’s a surprising number that’s even more concerning when you know that the condition has been linked to several serious health conditions — including major heart problems. Your dentist in 50677, Dr. Jonathan Smiley, wants you to know about the connection between gum disease and your heart health. Keep reading for more! Gum disease is closely linked to cardiovascular disease, stroke and high blood pressure. While we still haven’t identified the precise link between gum health and overall well-being, increased research into the matter is helping us understand more each year. It seems that the connection between gum disease and heart conditions are found in the inflammation: when the vessels in the mouth become inflamed, it’s easy for those in the heart to be affected, too. But the good news is that gum disease treatment can actually help to improve heart health — and the status of a number of other conditions, too. Click here to read a more in-depth study of the link between periodontal therapy and improved overall health. Fortunately, you can find gum disease treatment at Smiley Family Dentistry, and it’s also easy to prevent gum disease with a solid oral hygiene routine. Keep these steps in mind to maintain healthy gums, and you’ll likely improve your heart health, too. Brush for two minutes, twice a day. Set a timer (or better yet, invest in an auto-timed electric toothbrush) to make sure you’re hitting the two-minute mark every time. Floss daily. Many adults know they should floss at least once a day, but they just can’t make a habit out of it. To help you remember to clean between your teeth every day, place your floss somewhere you’re sure to see it — like right beside your toothbrush. Don’t consider your bedtime routine complete until you’ve flossed. Visit the dentist twice-annually for preventive checkups and cleanings. We can remove the plaque and tartar buildup that cause gum disease, and evaluate your risk for developing the condition, too. Contact Smiley Family Dentistry Today! When was your last visit to Smiley Family Dentistry? If it’s been more than six months, remember that solid preventive care is the key to maintaining healthy gums and teeth for a lifetime. And if you need periodontal therapy in Waverly IA we can take care of that, too. Schedule your appointment today!